Just two months into his presidency, Ronald Reagan lay near death after a gunman's bullet came within inches of his heart. His recovery was nothing short of remarkable - or so it seemed. But Reagan was grievously injured, forcing him to encounter a challenge that few men ever face. Could he silently overcome his traumatic experience while at the same time carrying out the duties of the most powerful man in the world? Autumn 1944. World War II is nearly over in Europe but is escalating in the Pacific, where American soldiers face an opponent who will go to any length to avoid defeat. The Japanese army follows the samurai code of Bushido, stipulating that surrender is a form of dishonor. 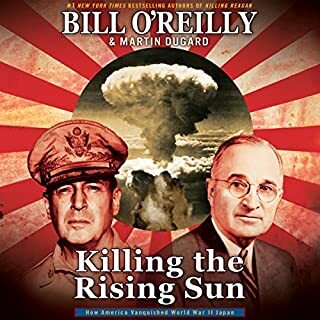 Killing the Rising Sun takes listeners to the bloody tropical-island battlefields of Peleliu and Iwo Jima and to the embattled Philippines, where General Douglas MacArthur has made a triumphant return and is plotting a full-scale invasion of Japan. Considered one of the all-time great American works of fiction, Fitzgerald’s glorious yet ultimately tragic social satire on the Jazz Age encapsulates the exuberance, energy and decadence of an era. 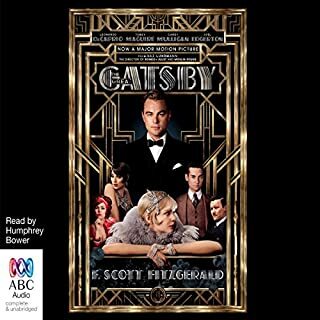 After the Great War, the mysterious Jay Gatsby, a self-made millionaire, pursues wealth, riches and the lady he lost to another man with stoic determination. He buys a mansion across from her house and throws lavish parties to entice her. When Gatsby finally does reunite with Daisy Buchanan, tragic events are set in motion. 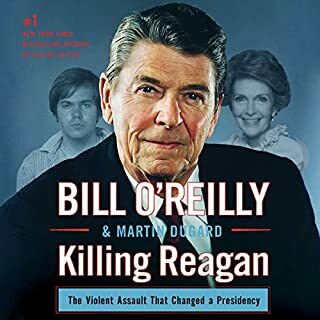 Millions of people have thrilled to best-selling authors Bill O'Reilly and historian Martin Dugard's Killing Kennedy and Killing Lincoln, works of nonfiction that have changed the way we view history. 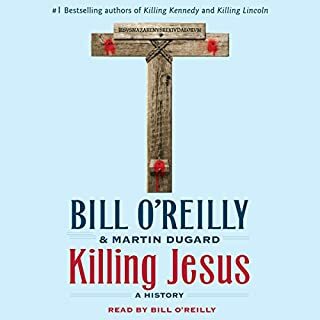 Now the anchor of The O'Reilly Factor details the events leading up to the murder of the most influential man in history: Jesus of Nazareth. Nearly 2,000 years after this beloved and controversial young revolutionary was brutally killed by Roman soldiers, more than 2.2 billion human beings attempt to follow his teachings and believe he is God. 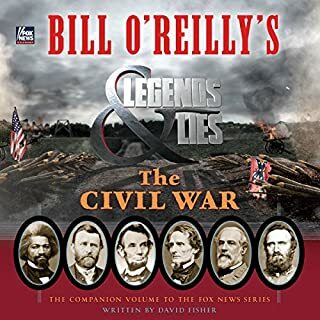 From the birth of the Republican Party to the Confederacy's first convention, the Underground Railroad to the Emancipation Proclamation, the Battle of Gettysburg to the assassination of Abraham Lincoln, Bill O'Reilly's Legends and Lies: The Civil War reveals the amazing and often little-known stories behind the battle lines of America's bloodiest war and debunks the myths that surround its greatest figures. As the true horrors of the Third Reich began to be exposed immediately after World War II, the Nazi war criminals who committed genocide went on the run. A few were soon caught, including the notorious SS leader Heinrich Himmler. Others, however, evaded capture through a sophisticated Nazi organization designed to hide them. Among them were Josef Mengele, the “Angel of Death” who performed hideous medical experiments at Auschwitz; Martin Bormann, Hitler’s brutal personal secretary; Klaus Barbie, the cruel "Butcher of Lyon"; and perhaps the most awful Nazi of all: Adolf Eichmann. Listeners around the world have thrilled to Killing Lincoln, Killing Kennedy, and Killing Jesus - riveting works of nonfiction that journey into the heart of the most famous murders in history. 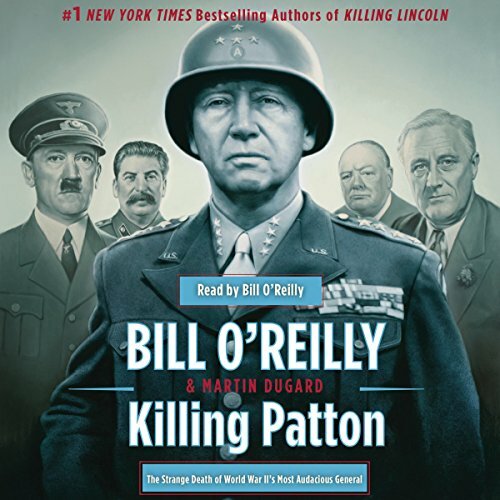 Now, from Bill O'Reilly, anchor of The O'Reilly Factor, comes the most epic book of all in this multimillion-selling series: Killing Patton. General George S. Patton, Jr., died under mysterious circumstances in the months following the end of World War II. For almost 70 years, there has been suspicion that his death was not an accident - and may very well have been an act of assassination. Killing Patton will take listeners inside the final year of the war and recount the events surrounding Patton's tragic demise, naming names of the many powerful individuals who wanted him silenced. This story is fascinating. I learned a lot about Patton and the Second World War are. The narration is also excellent anyone who enjoys biography history will enjoy listening to the audio version of this book. What did you love best about Killing Patton? The story was very engaging. A lot of very interesting history tidbits. Where do they get this stuff? I loved it. I was so disappointed in Bill O'Reilly's performance. At times I wondered if he had even READ the material before. His delivery was consistently poor throughout. At times he slurred. There were mispronunciations and numerous things that just should not have passed quality control. Is there no one that has the spine to say to Bill "Hey, can we back up and take that paragraph again?" Bill, stick with what you know! Is there anything you would change about this book? I would hire a professional reader! What was one of the most memorable moments of Killing Patton? I had never heard the allegations that Wild Bill Donovan played a significant role in the death. Who would you have cast as narrator instead of Bill O'Reilly? There are dozens of great, good or even adequate narrators on Audible products who would do a better job. Bill O'Reilly's performance showed a lack of preparation. It was NOT a workmanlike effort, and it sometimes seemed that this was the first time O'Reilly had read this material! He made me suspect that he didn't participate much in the writing of the book other than to lend his name. He mispronounced common English words, and he hadn't a clue how to pronounce the German words and names. I was embarrassed for him! Is this the book that could "Kill" a series? There are two things about this book that are worth mentioning. Firstly... The pace is fast and engaging as with the other three "killing" books. A good formula to engage those without a penchant for history. And on that alone I would recommend this book. Secondly... For those who study history it offers very little in the way of new facts. There is also the problem that the story meanders around the title "Killing Patton" making one think it is full of filler material to bulk up the story. I trust this book is a one off and not a precursor of things to come. 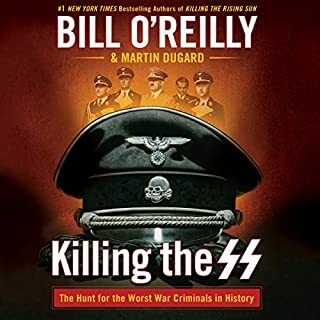 I say this because the other three books seem to stick with the premise "Killing..."
I enjoy the O'Reilly Factor on TV, but, Bill your narration style is not pleasant. Jerky, sloppy pronunciation can make it a chore for the listener. This in the past has been compensated/overlooked by the fast paced compelling stories, but not this time. Really Disappointing and not about what you think. What did you like best about Killing Patton? What did you like least? There is a brutality to war explored in this book that perhaps is worthy of remembering. The history related is spot on, but only a very little of the content is actually devoted to the death of George Patton and that is in the last few minutes. Mostly in the epilogue. I already knew quite a lot of the history and wanted to know more about a possible conspiracy to murder Patton. I walked away feeling a little beat up and really still uninformed about the Killing of Patton. This was almost a waste of a credit to me. A few interesting anecdotes about William “Wild Bill” Donovan was about the only thing which kept me from requesting a refund. Bill O'Reilly is entertaining on TV but no narrator - AND it sounded like he was unfamiliar with some of the content. Not good. Killing Patton is Bill O's latest 'fast food style' book in the Killing series. Preceded by Killing Lincoln, Kennedy and Jesus, Patton has some tall expectations to live up to. Bill O'Reilly and Martin Dugard release a historical book every year and Patton is 2014's edition. All books are written in the same format so if you enjoyed the previous three installments, you will enjoy this book. It is an easy book to listen to. Add on top of that the fact that I'm a WW2 history buff made this book a must purchase for me. The rest of the book ping pongs back and forth through the final year of WW2. This book is not a thesis on the late General as the title suggests but more a weak melodrama. There are MANY MANY MANY incidents included in this book that have nothing to do with Patton or his immediate world around him. Examples are the chapters included about Auchwitz concentration camp The General and 3rd army never entered Poland or Auchwitz and therefor its reasons for inclusion in this book questioned. Additionally, the story of Anne Frank and her subsequent death are chronicled. Again, Anne Frank and George Patton have nothing in common. Why it is included is again a question. All of the facts presented in this book are already widely known and readily available. One gets the impression that this book is meant for entertainment and quick sales and not as a historical thesis. Keeping that in mind, this book is recommended for its entertainment value. If you enjoyed Bill's other Killing books, you will enjoy this book May I suggest to Bill a title for next years book, Killing Hoffa. Id preorder that copy right now. Easily the best of all of the "Killing" books. I really enjoyed this one and enjoy even more telling others about this book. While the assassinations' of Kennedy and Lincoln are part of modern school curriculum, I'm amazed how much I didn't know about Patton's death. The book is a good overview of the march toward Berlin, but delves more into the Geopolitical Chess game being played than the strategy of the fighting. Great insight into the mind of Patton and his motivations. The story is well known and the book brought out some obscure information and, in my opinion, jumped to some fanciful conclusions. Maybe he was murdered and maybe not. Author did not build a convincing case. Too much supposition. Narrator mispronounced many words that are commonly known to students of WWII history. That was disappointing and distracting! Ok book, however, disappointing on two fronts .. sadly while a professional newscaster, Bill O'Reilly is not a good narrator. His stumbling through this book really detracted from the story, in fact the epilog, which is read by someone else was the easiest to listen to. The book is probably best read as a physical book. While the story was interesting, there was really nothing new historically. PLOT: the circumstances surrounding the death of the General George Patton. General George Patton "old Blood and guts" ...the general who used every bit of his skills and pushed him men to the brink many times. His victories are legendary this larger than life general. He pushed his way into the Rhine and the heart of Germany and helped save BASTOGNE by pushing against very heavy odds to help win the Battle of the Bulge. His distrusted the Russians openly and often offended them in interviews and comments to the point where the KGB....(RUSSIAN secret police) had him on their HIT list. Patton often made many mistakes including "slapping' a soldier and wanting to push ahead of the Russians into Berlin. He suffered from "foot in his mouth".... He knew many secrets of Allies. He was a "loose cannon" in the eyes of many people including 2 American Presidents both FDR and Truman. Some near misses including an attack by a British Spitfire on Patton's plane add to the intrigue. Being sent home and given a "bogus" army to lead.....to save face....Patton is days away from returning to the USA when he is "accidentally" hit by stolen American military truck with 3 DRUNK American soldiers in the truck. Suffering a serious spinal injury but he is expected to live but suddenly dies. Leading yet more mystery surrounding his death. There are NO reports about a stolen truck or investigations of the soldiers involved in the accident. CREDIBLE witnesses including fellow passengers in the same car as Patton.....a General NO less.... and Patton's Driver.....who all said told the same story about the DRUNK soldiers. Did someone "silence" the outspoken Patton so he could not tell HIS story when returning to the US? O'Reilly and Dugard the authors both do admit they do not believe in any kind of "conspiracy" theories on this event. But give plenty information about Military files come up missing or were never investigated. This bio is very entertaining since they give us a close up look from both the American, German and Russian sides of the War and add some very clear pictures of history and of the fascinating and odd.. demise of Patton..... VERY good.....4 stars all the way. Excellent book for memorial weekend! Interesting book on Patton and a lot of good stories of WW2. I recommend it!